A quick and flavoursome Lasagne. Great for lunches, dinners and also for freezing. Cook mince, onion until brown. Add remaining ingredients. Bring to the boil. Then let smimmer for 10 mins. Melt butter then add flour. Slowly add milk stirring occasionally until sauce thickens. Add cheese once sauce starts to thicken. Add salt and pepper to taste. Layer lasagne. Start with lasagne sheet, layer of mince and sauce, repeat 2 more times. Put remaining cheese sauce on top, sprinkle with extra cheese and put in oven for 50 mins on 180 degrees. 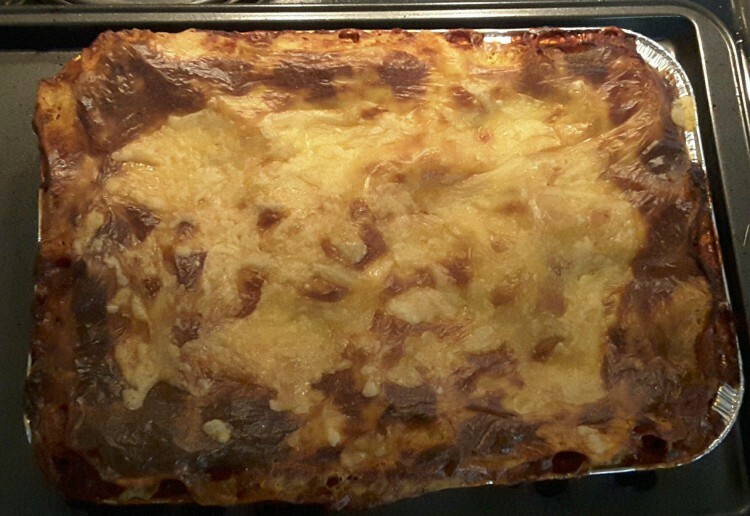 Lasagne is a favourite in our home, thanks for sharing your recipe. Yummo! Beef Lasagna is always a winner. Can’t go wrong with lasagne. Yum! Trying to reduce this recipe down for a couple just doesn’t work. Such a pity as this is something I could try. Can’t beat a delicious Lasagne – and such a great way of getting extra veggies included! Lasagne is a favourite in our home too. I’ve never added mushrooms before. Interesting!! Beef lasagna is a favourite to eat,l love the mushrooms added! Thanks! I love mushrooms too – one of my favourite foods. I eat them whenever I can – love them in lasagna. Love lasagna because it is such a good comfort food and great with vegetables or salad. Thanks for your version of lasagna – happy to try it out.